Lapland Restaurant Kotahovi is a restaurant run by the Körkkö family that has owned reindeer for centuries. The restaurant gets its name from kota which is the Finnish name for a Lappish hut. 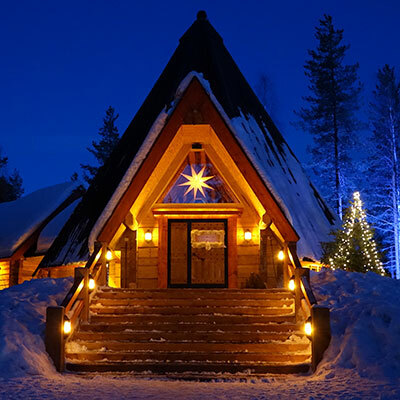 Our Lapland-style restaurant is located in the Santa Claus Reindeer resort at the Santa Claus Village on the Arctic Circle in Rovaniemi, Finland. We offer typical Lappish dishes in a very cozy atmosphere. Please remark: we do not serve alcohol beverages. You are warmly welcome to discover the World of Lappish gastronomy.